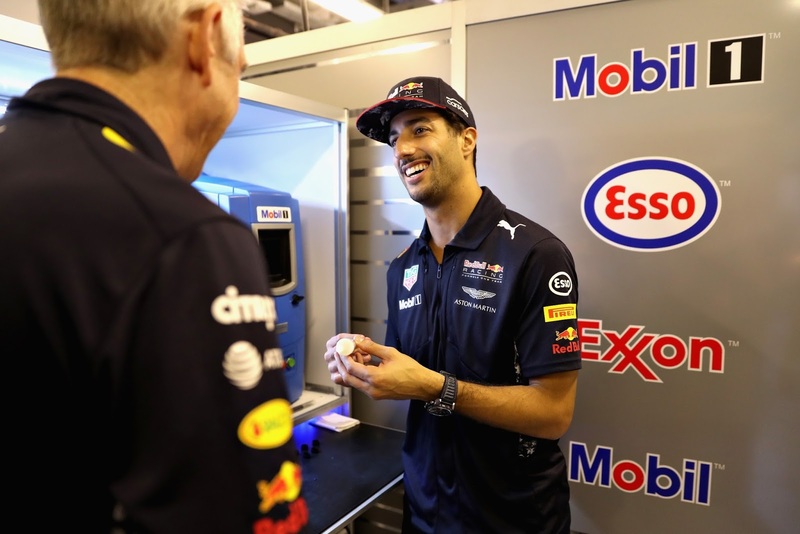 Daniel Ricciardo recently swapped driver duties for an engineering masterclass, working hands-on with the ExxonMobil trackside team and learning about the critical role Mobil 1 race lubricants will play in this weekend's Abu Dhabi Grand Prix. Daniel Ricciardo, said: "It was eye opening to spend some time in the TrackLab and witness first-hand the level of detail that goes into sampling and testing the Mobil 1 race lubricants and Esso Synergy race fuels during a race weekend. The ExxonMobil team's expertise and dedication is making a measurable difference to our performance on track – they really are an extension of our team." Looking ahead to that weekend's Abu Dhabi race, the Yas Marina circuit presents a unique set of challenges for the ExxonMobil trackside engineers. The track demands sharp acceleration between turns putting stress on the engine and gearbox. The dusty conditions in the desert also require specific monitoring of the fuel, lubricants and testing equipment to ensure zero contamination. The fuel and lubricant formulations brought to Abu Dhabi are part of the ongoing Mobil 1 development program. David Tsurusaki, Technology Motorsports Manager commented: "On and off the track, we have a rigorous development program for our Mobil 1 race lubricants and Esso Synergy race fuels. 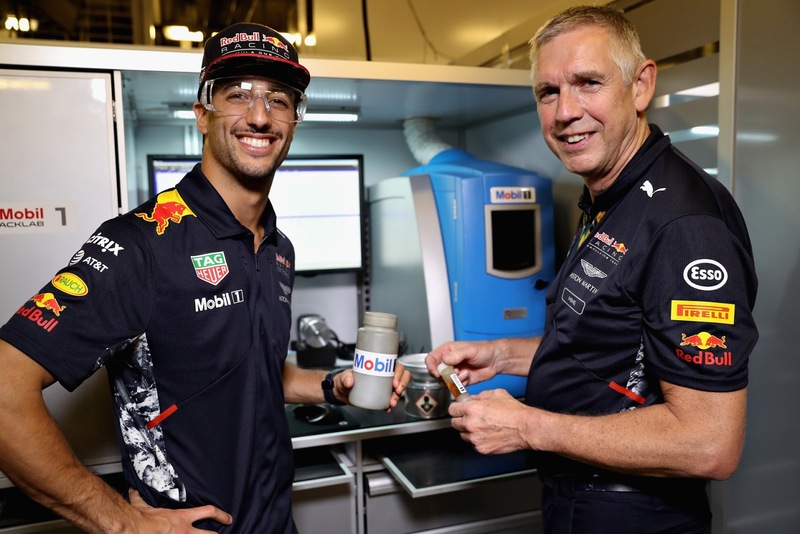 Hand-in-hand with Red Bull Racing we've made some great steps this season and we’re confident we can carry this forward into 2018."